Ask fellow campers about "Salton Sea MHP & RV Resort" and nearby attractions. Almost left in middle of the night. Went to use the restrooms, only to find a ungodly spider which since I looked up to see it is a camel spider. But to see the coming and goings in middle of the night by the two legged, was afraid to leave our windows open in the rv. 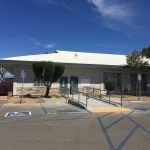 No matter what and how they remodel this park, new owners, they cannot change on what is happening outside their gates with the once great Salton Sea. It's dwindled down to a puddle, quicksand no fish and only dead or aging birds and people that either are too old or not enough money to move. Very sad to see and hear on how great this place had been at one time. I visited this same park in the '70's and it sure has changed. I guess drugs even made it out to the deserts. We camped at Salton Sea MHP & RV Resort in a Motorhome. Don't visit, make sure you have enough energy to drive thru this area. Do have a casino and 2 great gas/reset rant and casino within ten miles of area. This is an older park, but still pretty nice - if in need of some maintenance & modernization. Garland, one of the park managers, bent over backward to take care of me after I experienced electrical & water issues at the site I was originally given. The sites are pea gravel and very level. Water pressure & electrical service at the second site were good, but sewer odor from the septic vents scattered throughout the park was occasionally unpleasant. Also, sites only have one water connection each. That said though, overall this is a nice park with an amazing staff, nice amenities, great access to local wilderness activities, and easy rig access that just needs a little TLC to rate a top score. We camped at Salton Sea MHP & RV Resort in a Motorhome. This is a great place for a weekend of off-reading, hiking, or other such activities on the Salton Sea & around Truckhaven. Great for camping during the annual Tierra Del Sol Desert Safari. This is hands down the park with the friendliest and best staff and the most welcoming fellow camper community we have ever seen. In our experience it even tops the well known hospitality of the Escapee parks. We arrived to stay a few nights and ended up staying two months! Monthly rate for a full hookup pull thru site on fine gravel is 325$ plus electric which was a total of 125$ in our case. If you want it any cheaper you have to boondock in the desert. But there won't be any WiFi which was included and mostly worked reasonably well. We first went from a two night stay to a week and then to a month and in both cases the office staff honored our previous payment which is not very common. The park has changed ownership a few times in the last years and no owner was willing to spend money for maintenance let alone invest in some renovation or improvements. Therefore the park has a pretty rundown appearance and we heard some stories about electrical issues. However, the management works hard to keep everything clean and resolve any issues immediately. Our site was hassle free, very level and with good and stable hookups. The management kept an eye on leaving every other site empty to help with privacy. During our stay in December and January the park was only about 20% occupied. We joined most of the dinners in the clubhouse for the excellent food and the friendly people. We got quite a few invitations to join some of the ongoing excursions or other events. Despite being about twenty years junior of the average other camper around we made a lot of new friends and felt very welcome and well integrated in all kinds of activities. Lots of the campers we met return to this park for many years and we will join them in doing so. One thing can be awful though: the smell from the Salton Sea being a mixture of dead fish and sewer can ruin your camping experience. That depends on the wind which mostly keeps the stench away but not always. 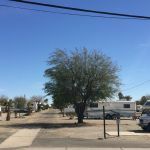 We camped at Salton Sea MHP & RV Resort in a Fifth Wheel. This park was designed as a Mobile Home Park, but there are many RVs staying these days. What makes this park is the friendly management and long stay residents. We booked for a week and stayed a month, went away and then came back for another month. We were made welcome upon arrival and invited to all activities. Very quiet at night. We camped at Salton Sea MHP & RV Resort in a Fifth Wheel. This Park is really nice has excellent pool, managers were extremely helpful, was slow season for them we were only overnighters there 2 nights, also $1.00 a night for dog not a problem. 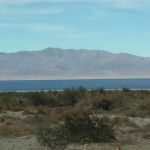 We camped at Salton Sea MHP & RV Resort in a Travel Trailer. 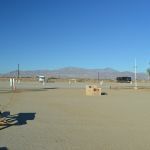 Are you affiliated with Salton Sea MHP & RV Resort ?